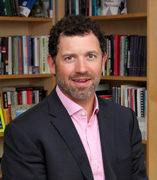 Chris Hoene became the Budget Center’s executive director in October 2012, bringing to the organization 15 years of leadership in state and local policy research and analysis. He leads the strategic direction of the organization, acts as primary spokesperson, and works with the board of directors and community partners to implement our vision and mission. Prior to joining the Budget Center, Chris was director of the Center for Research and Innovation at the National League of Cities in Washington, DC, leading efforts to analyze trends in local and state government and promote constructive policy action on issues including public finance, economic development, housing, poverty reduction, infrastructure, and governance. Chris also previously worked for the Center on Budget and Policy Priorities in Washington, DC, and the Public Policy Institute of California in San Francisco. Chris holds a Ph.D. in Political Science from Claremont Graduate University and a bachelor’s degree in Political Science of the College of Idaho. In 2011, in recognition of his service to the state and local community, Chris was elected as a Fellow into the National Academy of Public Administration (NAPA).